We consider and analyse requests from our strategic partners very carefully. We did not receive a request on this issue", Shchetinin said, answering the question whether Caracas asked Moscow for Russian military assistance to Venezuela amid the current political crisis in the Latin American country. Russia is open to dialogue with all Venezuelan politicians who are ready for a constructive discussion of the situation in Venezuela, Shchetinin noted. "As for Venezuelan politicians, we are open to dialogue with everyone who has a constructive approach [to the situation], who is primarily concerned about the interests of Venezuelan people and the country's socioeconomic development, and speaks for the establishment of an inclusive political dialogue to this end", Shchetinin said. Commenting on the financing partnership, he stated that Russian-Venezuelan investment cooperation is based on legal agreements that must be respected by any responsible government in the country. "Our economic and investment cooperation [with Venezuela] is based on a well-developed legal and contractual framework; it is in the interest of both countries, including in the interests of the Venezuelan economy and people. These legal agreements must be respected by every responsible government driven by real economic priorities rather than ideological ones", the diplomat said in an interview. He also stated that international consultations on the situation in Venezuela must not turn into a "dialogue on capitulation" but should be aimed at the reconciliation of opposing political forces in the country. 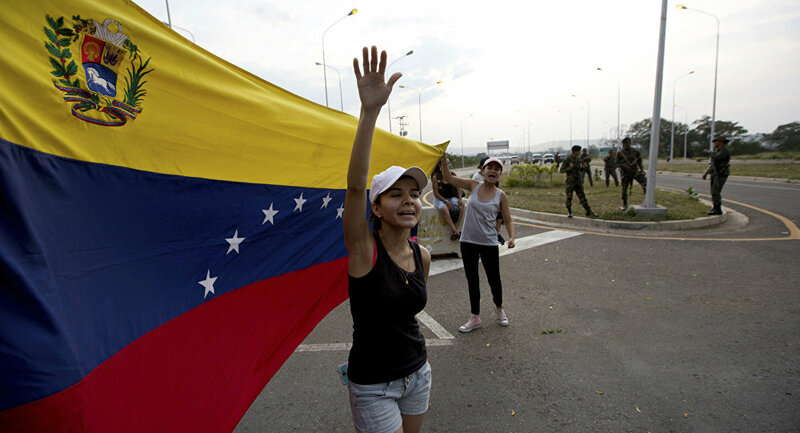 "What does Russia propose in the context of what is happening in Venezuela? To respect [Venezuela's] sovereignty. To prevent a destructive, including forceful, foreign intervention. To establish a dialogue. If international assistance is needed to do this, we support it. Therefore, we welcome the initiative of Mexico, Uruguay, and the CARICOM [Caribbean Community] countries. However, we believe that this cannot and must not be a 'dialogue' on some kind of capitulation. This should be a dialogue on reconciling [political forces in Venezuela] and overcoming the crisis", Shchetinin stressed. Venezuela continues to be locked in the midst of a political crisis after National Assembly leader Guaido announced on January 23 that he was now interim president, citing the alleged illegitimacy of last year's presidential election as grounds for his declaration. Although being dismissed by the Maduro administration in Caracas, Guaido has found ample backing internationally, with Trump's open support soon being followed by a multitude of nations, including sizeable European powers such as the United Kingdom, France and Austria.